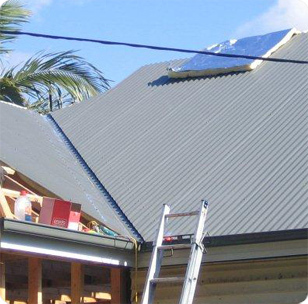 It is widely known that a roof ventilation solution such as a roof hatch installation from Tandem Trades is one of the most cost effective and effective ways of reducing excess heat within your home or business and keeping your property cool and comfortable in even the hottest Sydney summer. We - Expert roof hatch installers and manufacturers in Sydney, have over 25 years' experience in installing a wide range of roof hatch ventilation solutions for residential, commercial and industrial customers throughout Sydney and have built a name based on quality work, reliable service and value for money. Most commonly used for commercial and industrial applications, roof hatches combine the efficiency of natural lighting, the practicality of ventilation while allowing physical access to the roof and attic space of almost any building. The team from Tandem Trades are very experienced in fitting a wide range of roof hatches to meet almost any need, budget and specification. For an obligation free quote and evaluation of your roof ventilation needs, please contact us today. We provide residential, commercial and industrial skylight roof ventilation installation solutions throughout the greater Sydney area including Sutherland Shire, St George, Inner West and the Eastern Suburbs Sydney.